Royal Marines fighting against against Taliban forces in the village of Barikyu in Nothern Helmand Province, Afghanistan. THE LATEST DOCUMENTS released by Wikileaks have revealed that the United States had heaped scorn on the British war effort in Afghanistan during 2007 and 2009. The diplomatic cables have shown that neither the US military nor the President of Afghanistan, Hamid Karzai, believed the UK was capable of securing Helmand province alone – and Karzai was reportedly relieved when US marines were deployed. The diplomatic dispatches show the contempt for the British failure to impose security and connect with ordinary Afghans – as well as poorly handling the local drugs trade, reports The Guardian. In one cable, a US general Dan McNeill said that British forces had “made a mess” of counter-narcotics operations in Helmand, the BBC reports. The Guardian reports that the criticism of the British operation in Helmand centres on its failure to establish security in Sangin – an area where the British army suffered heavy losses. Karzai is recorded as saying that after the arrival of just 14 US special forces in 2001 it was safe soon afterwards: ”Even Helmand was safe for girls to go school. 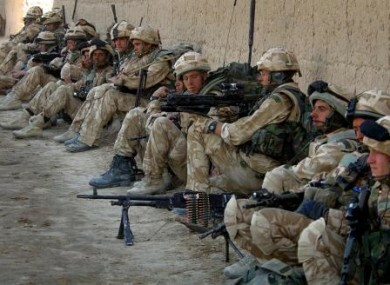 Now, 4,000 [sic] British soldiers are in Helmand and the people are not safe”. The UK military effort in Helmand was also criticised by top US officials. In late 2008, the US embassy said that without American support “we and Karzai agree the British are not up to the task of securing Helmand”. Email “Wikileaks reveals US and Afghan scorn for British military ”. Feedback on “Wikileaks reveals US and Afghan scorn for British military ”.